Beautiful beans! Don’t you just think of Jack in the Beanstalk when you see these beauties. I love runner beans. I grew an interesting variety this year that blossomed in peach colors. Lovely! 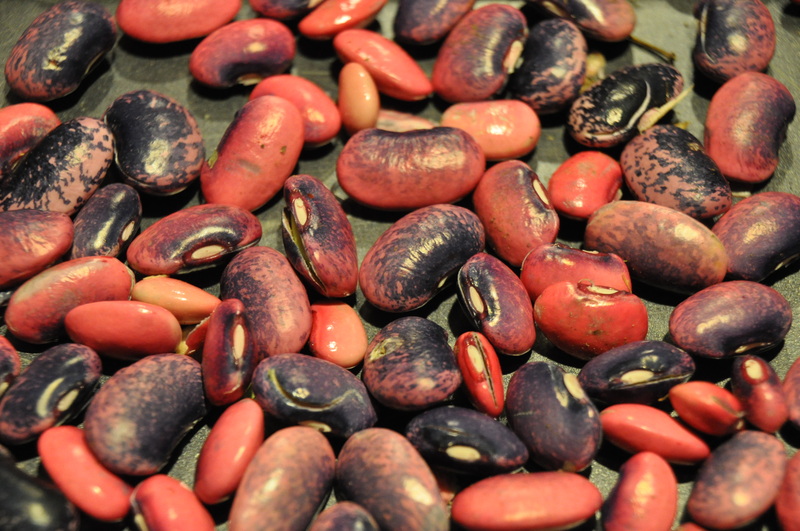 The beans are a gorgeous, purple and black mottling. Your post reminded me to take a pic of mine soon and post them to my blog. Blessings!